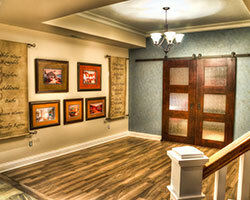 Let Everyone Know About Your Home Remodeling or Design Experience With HR Design Remodel! Have a Google account? Help spread the word leave your review on Google. 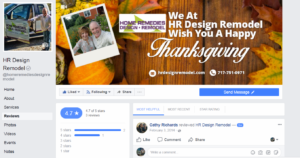 Let all your friends on Facebook know about your experience with HR Design Remodel. 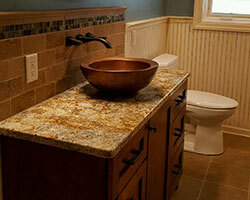 Tell everyone on Houzz about your remodeling or design project done by HR Design Remodel. 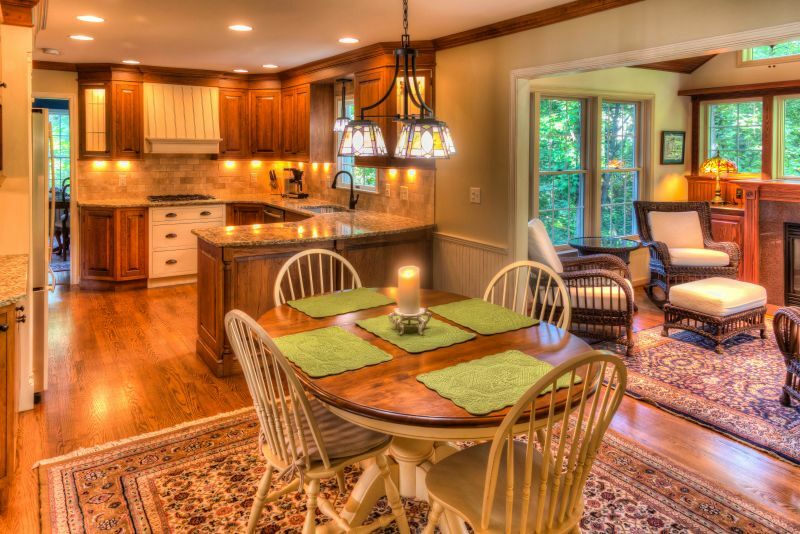 Do your friends a great favor and help them get the best design and remodeling project from an award winning local company in the York PA and surrounding areas! Some Reviews from Our Happy Clients! 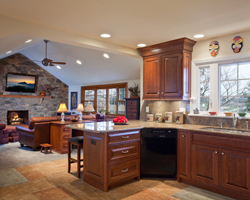 Home Remedies performed excellently in every facet of remodeling for us. We hired Rick and Michele Martin to remodel our master bath, kitchen, sunroom, and to turn our basement into a lounge/bar/movie room. Designs were beautiful and smartly done, all work was done very professionally and in conjunction with our desired time frame. 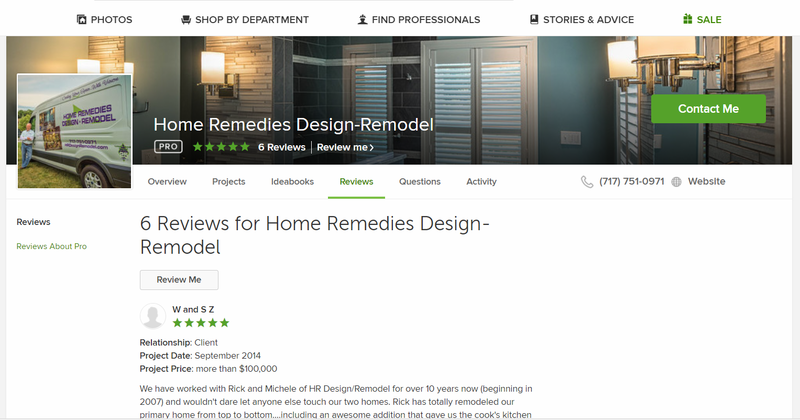 We give Home Remedies Design-Remodel and the Martins a strong 5-star rating! 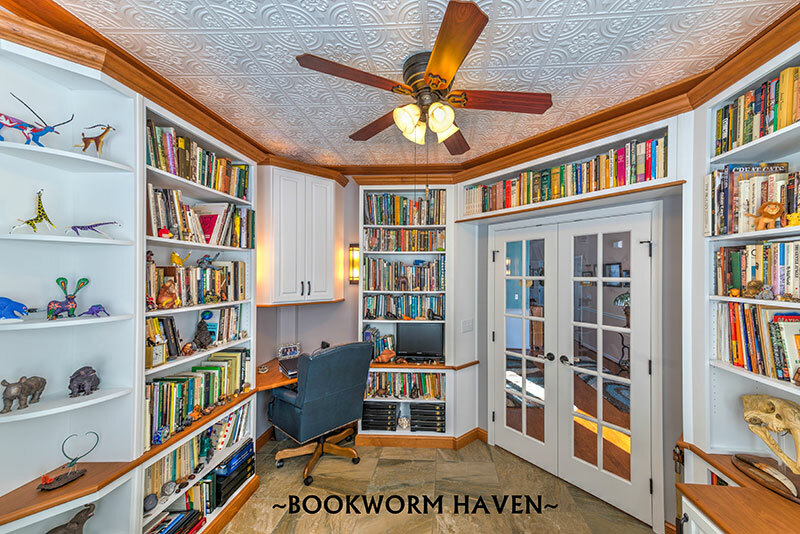 Rick Martin and his team did a bath remodel and a library for me. To start with, Rick is honest and trustworthy, and he took time to listen to all my ideas and concerns. I wanted something really different for my bathroom and desired a special space for my books, he delivered on both of these requests. The attention to detail paired with the quality of work and craftsmanship equals beautiful results that I was able to enjoy and appreciate. 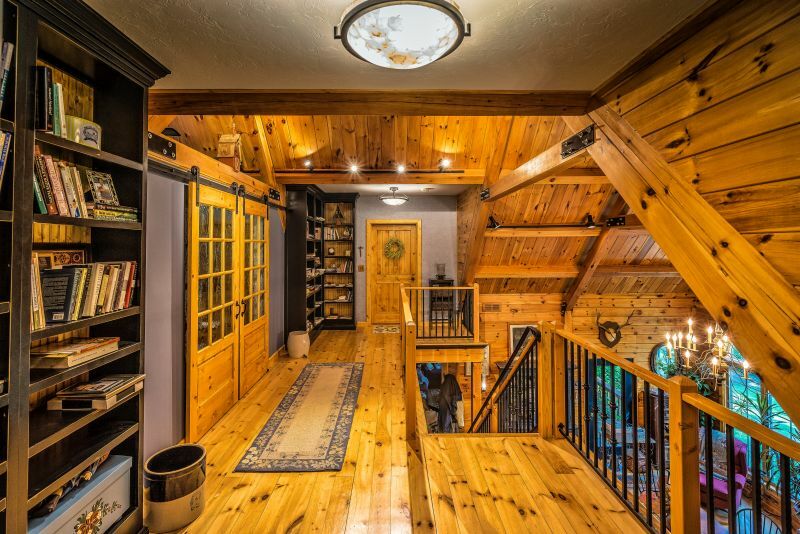 The detailed cherry woodwork, lighting, bench seat at bay window and tin tile ceiling in the library was just the touches that made my favorite space enjoyable and unique. 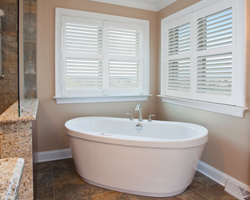 The different materials that I desired for my Asian-style bathroom and Rick's ideas of how to incorporate them truly created a bathroom that was beautiful and functional. I enjoyed working with Rick and all of his team. 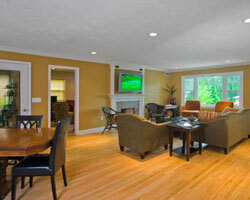 They were very professional, on time, organized and kept the project site very clean during the job. 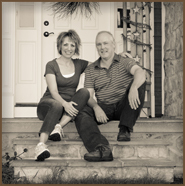 Pairing that with Rick's expertise and knowledge, I highly recommend Home Remedies Design-Remodel without reservation. Rick Martin is terrific! 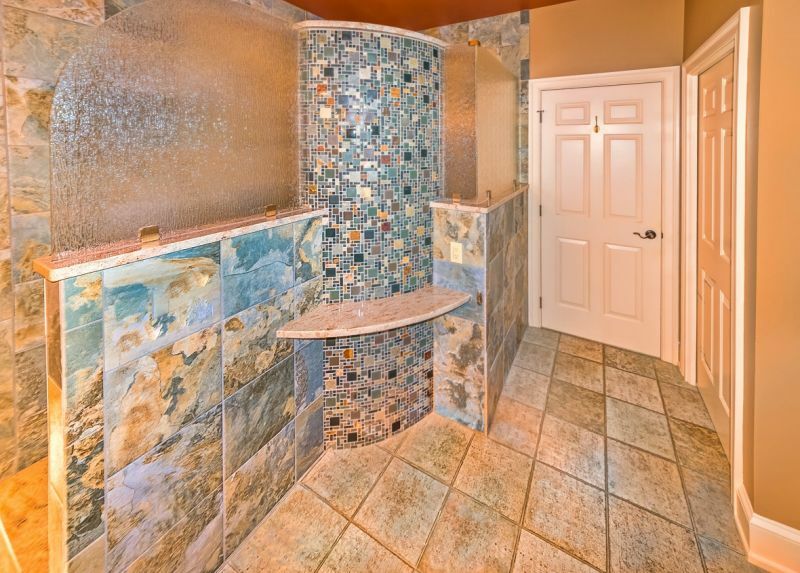 This company does fabulous work from start to finish. My wife did her original due diligence in hiring a general contractor and after checking out Rick's work at a parade of homes show we hired HR Design Remodel to do substantial "remodel" for us and we were so delighted with the finished product that we again hired Rick to do a much larger project! Once again we were absolutely in love with the work he and his superlative cadre of vendors accomplished. 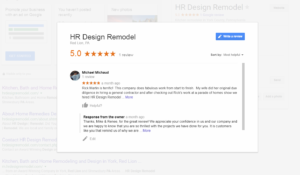 We expect to rely on Rick again in the future and if anyone has any hesitancy in working with HR Design and Remodel they should call us for a reference! We'd be happy to show what Rick did for us!!! Through the years, Alice and I have had Home Remedies do multiple major home renovations at our home in York. These included: sunroom, basement, kitchen, family room, master bedroom, bathroom, hardwood floors, and exterior siding and shudders. We kept calling Home Remedies because of their high quality work, innovative design, professionalism, and timeliness. 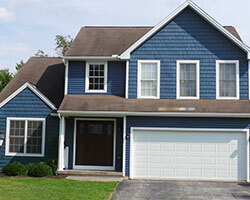 They stuck with their estimate, handled all subcontracters, protected areas of our home not being renovated, and completed their work on time. When their work was complete, the house was left spotless! 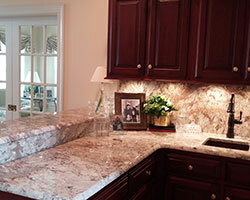 We love the work and have received so many compliments. I don't think we will ever be able to leave this home! I give them my highest recommendation. 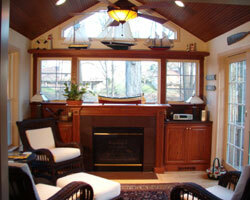 Home Remedies performed excellently in every facet of remodeling for us. We hired Rick and Michele Martin to remodel our master bath, kitchen, sunroom, and to turn our basement into a lounge/bar/movie room. Designs were beautiful and smartly done, all work was done very professionally and in conjunction with our desired time frame. We give Home Remedies and the Martins a strong 5 star rating!